As a Naturopathic Doctor I know a lot about supplements. I have been trained for years to understand how supplements work in the body, and after helping hundreds of patients over the past 13 years I have witnessed many successes – and failures – using supplements. Personally, I have also tried way too many supplements. When I was going through school to become a Naturopathic Doctor I had access to way too many free supplements, and since I was on a desperate mission to clear my skin I tried it all. The results were not always pretty. And when I first starting practicing as a doctor I would routinely sell my patients loads of expensive supplements. I was so anxious to heal them quickly that I would give them a supplement for each of their complaints and symptoms, and often without the best results. And then, exhausted, I stopped all my supplements. I made my patients focus on healing from the ground up instead of taking supplements. I started to become wise. Slowly I began to realize which supplements would make a real impact, and I took pride in healing my patients using only a very few, well-targeted supplements, with the long-term goal of only needing to take one or two supplements. The result? 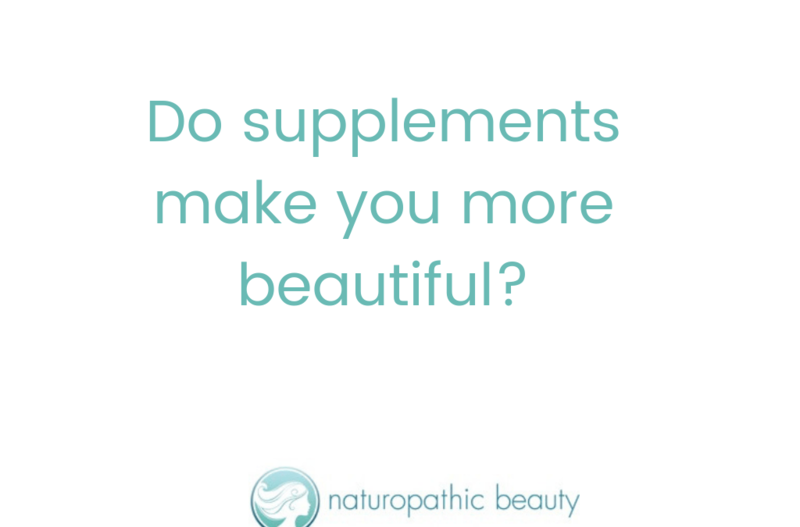 Real health and beauty (aka clear skin that ages beautifully) that is not dependent upon anything but a great lifestyle a few really helpful supplements. There are a lot of supplements out there, and they often make very lofty claims. Much if it is marketing and hype, and most of it is not what you need. Basically, supplements can be your best friend or your worst enemy when it comes to acne and anti-aging. And, to top it off, what works for one person will not always work for another person. 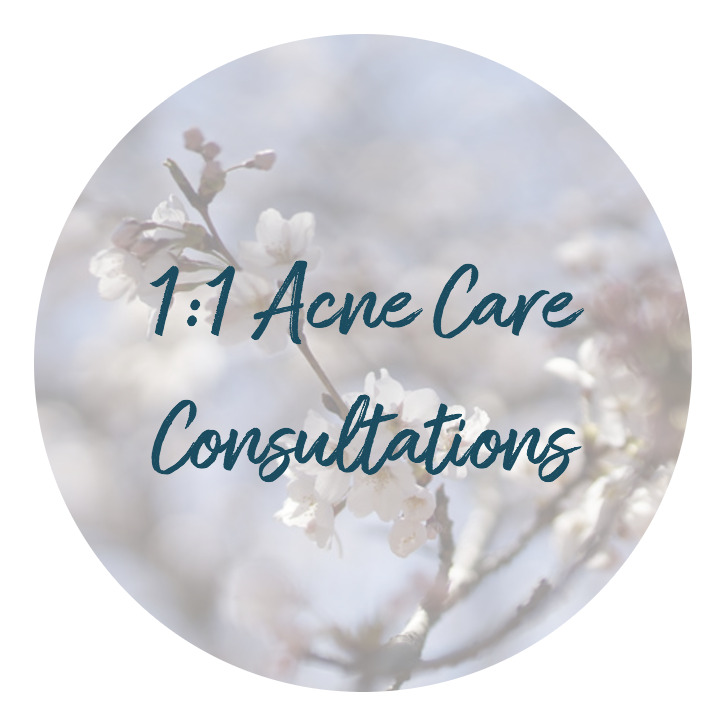 If you want to get it right – ask a professional, especially someone that understands physiology and is really knowledgeable about acne and aging. The skin is a complex organ – and it is influenced by many other systems in the body. It needs to be well understood. The underlying cause of acne and aging must first be assessed – and then treated appropriately. Do NOT take a list of supplements that you find in a magazine, on a blog or recommended by someone without proper education – most supplements that are promoted for acne can actually make it worse. In fact, I have solved many cases of acne simply by cutting out certain supplements (some of these supplements had even been prescribed by NDs that don’t fully understand the skin). Bottom line – I can’t tell you what supplements to take unless I understand what is going on in your body. Save yourself time, money and the trauma of acne and aging – get it right the first time! Do not experiment! This is true when it comes to acne especially. Often a patient will come to see me with a shopping bag full of supplements. Right away I know that I can improve their acne just by eliminating most of what they are taking – and it never fails. Fewer supplements, fewer steps in their skincare regime. Less, less, less. It always helps. But you usually need a few. Diet is truly the foundation of clear, ageless skin. Once you have discovered your perfect diet, your skin will likely improve tremendously. But it will not always completely clear up. This is because certain systems in your body may need some extra support. Either the liver, the gut or the adrenal glands will need some nourishing and TLC (tender loving care) and a few well-targeted supplements are usually required to completely clear the skin. Often it takes a seasoned professional to understand exactly what the body needs. Which supplement do I recommend most often? Vitamin D. It affects all systems in the body and if you are deficient healing is difficult. I always encourage my patients to test their levels before supplementing to determine the proper dosage. What should you do next if you have acne? Okay, so most of the commonly prescribed supplements for acne will make your skin worse. To find out what is going to help clear your skin you need to connect with me. It is my mission in life to help as many women out there to clear their skin. 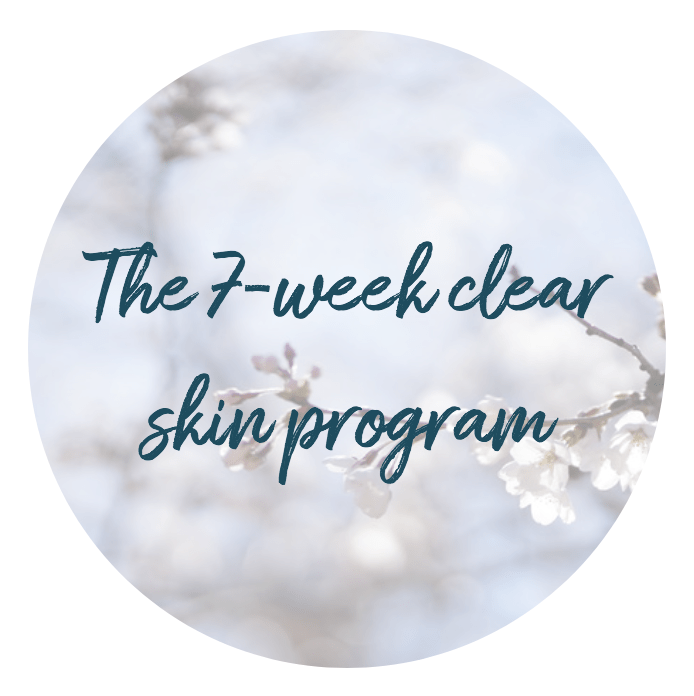 I have an amazing 7-Week Clear Skin Program that will help you assess which supplements are best for you and help you incorporate them into your lifestyle slowly and deliberately. Check out that program here. If you want results FAST and you want to work with me personally, check out my 1:1 Transformational Coaching Program. This is the program you need if you want to clear your skin and get on with your life – finally! What should you do next if you want to age beautifully? It is a zoo out there in the anti-aging community. It seems as though there is a new anti-aging supplement marketed daily – and it is easy to become confused and overwhelmed. I have done all the research for you and put together a scientifically-based program that will get you amazing results with the very best supplements available. This program will tell you what you need to eat, do and which supplements to take to age beautifully for the rest of your life. Imagine not having to worry about aging ever again! You can check out my 8-Week Anti-Aging Skin Program here. And if you want my help putting together the very best aging program for you, consider my 1:1 Transformational Coaching Program. I will help you get the very best results that will help you age beautifully for the rest of your life. So basically, take only the supplements that you need. Well-targeted supplements, an incredible diet and lifestyle are the keys to living your healthiest, most beautiful life!